All the rage, where ever you look, be that a bar, restaurant, club, retail, hotel, home or even the garage. Retro style lighting has made a huge comeback in such a short space of time. Sun-Light Solutions introduces this retro fitting with a modern twist for any environment. Manufactured from brass. 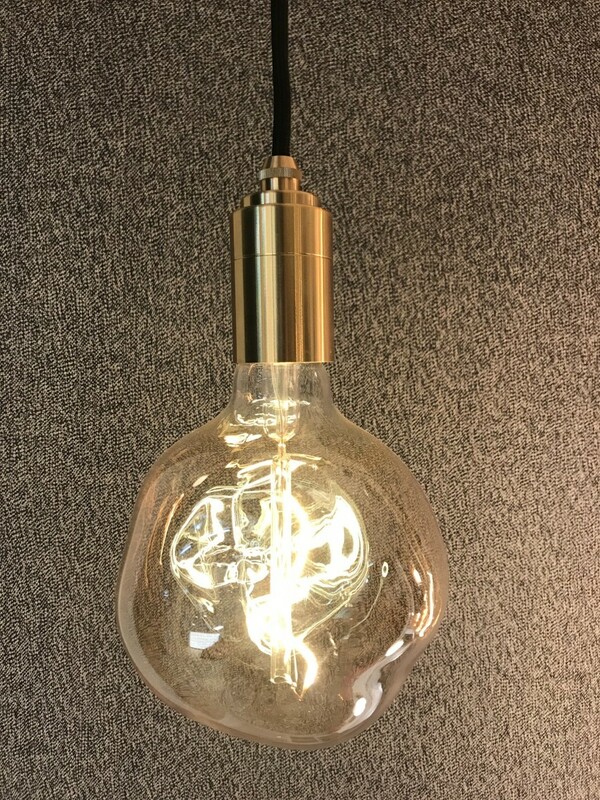 This pendant fitting accepts the vintage and stylishly beautiful E27 Edison filament light bulbs from yesteryear. However, team them up again today for stunning results. If you are energy conscious, then fit the modern LED equivalent, either way use with dimming control for that perfect look. Use singularly or suspend in groups with different length cables and you will be amazed at the ambience created. Supplied with a black ceiling rose and a three metre black braided cable. The holder dimensions are 40mm x 65mm. Max wattage 60W – The cable can be converted to use a 13amp plug and an inline dimming switch. Various ceiling plates are available to hang groups of the pendants, creating chandelier scenarios. 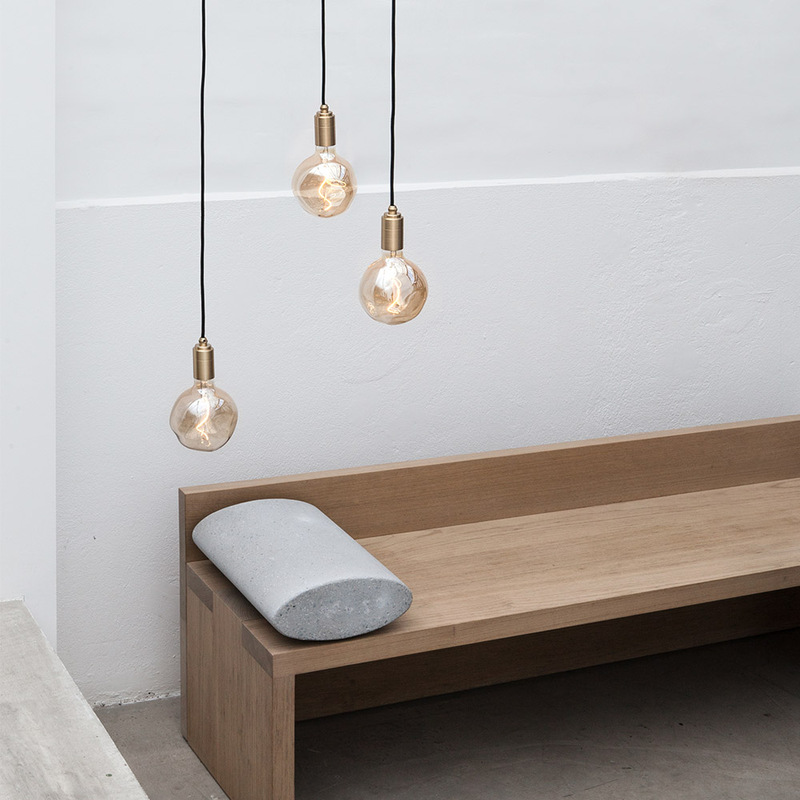 The plates, powder coated white are designed to hang the pendants in sets of three, fifteen and twenty seven plus a linear option for hanging four in a row. All plates are designed for best results. Please note: Light bulb NOT supplied as standard. Bulbs can be provided, spec and price upon application. 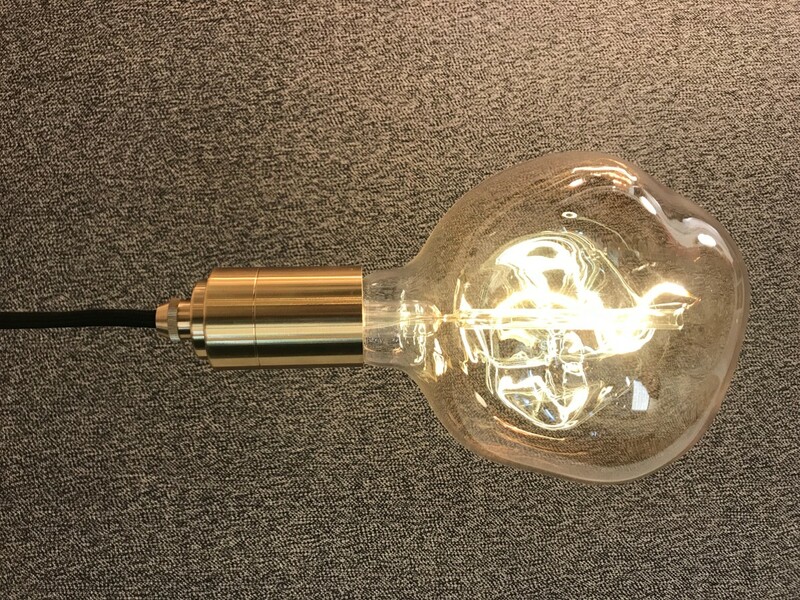 The beautifully formed and mouth blown bulb shown is 240v/CRI 95/E27 base – A dimmable 2200k tinted warm white offering 80 lumens from 2W of power drawn from a flexible LED. Complete with a three year warranty in normal dry condition.